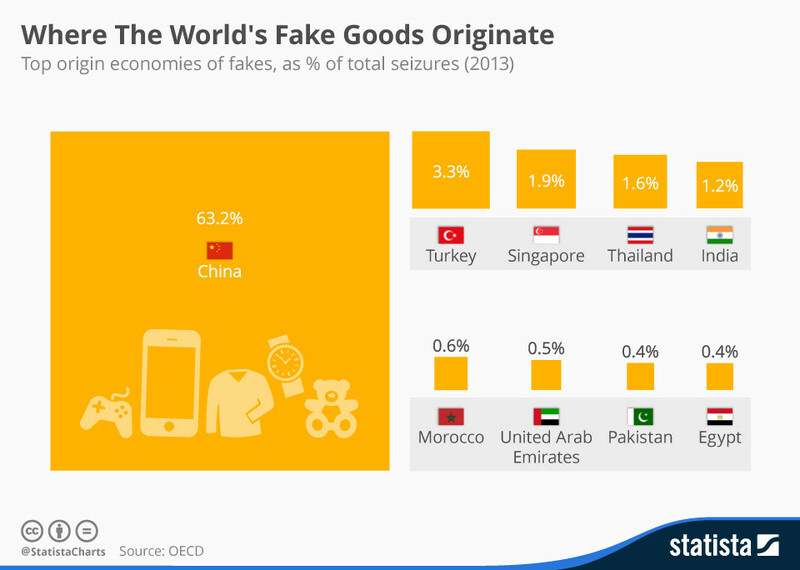 About four trillion physical consumer products are made and sold around the world annually. With more than a hundred million different types of product, from cans of soda to designer shirts, and bike locks to boxes of cereal, that’s a lot of stuff coming into the world every year. Each item is made somewhere from materials, components or ingredients coming from somewhere else. Each item is wrapped, boxed or packaged. Each item is shipped, shelved, retailed, ordered and delivered. And ultimately, of course, each item is disposed of, recycled or resold, at least in part. The global economy is driven by the flow of goods – from farm to fork, field to factory, weaving machine to wardrobe. While consumers and governments demand more sustainability, brands and manufacturers are struggling to make the digital transformation. A transformation that requires visibility of the supply chain – from the sourcing of materials and ingredients to the product’s journey to the consumer, through use and ultimately, disposal. The challenge is that conventionally the consumer products industry largely flys blind with very limited traceability and visibility of the products they make and sell. But now, thanks to an upgrade to the ubiquitous barcode – used by more than two million manufacturers globally – the Internet of Things (IoT) is coming to everything, literally. If we know nothing, does that mean nothing happened? My teenage kids ask with incomprehension how we lived without smartphones and social networks. Looking back it’s hard to explain how we thought ourselves efficient when we couldn’t access a piece of knowledge or request a ride on demand. Similarly, it seems absurd when we consider that the multi-trillion dollar economy that is the consumer goods environment knows so little about itself. Should it be normal that brands don’t know who buys their products? Or in the case of consumers, should they just accept not knowing exactly where a product and/or its ingredients come from – although sincerely wanting to authenticate ingredients and provenance? The costs of this reality are huge. 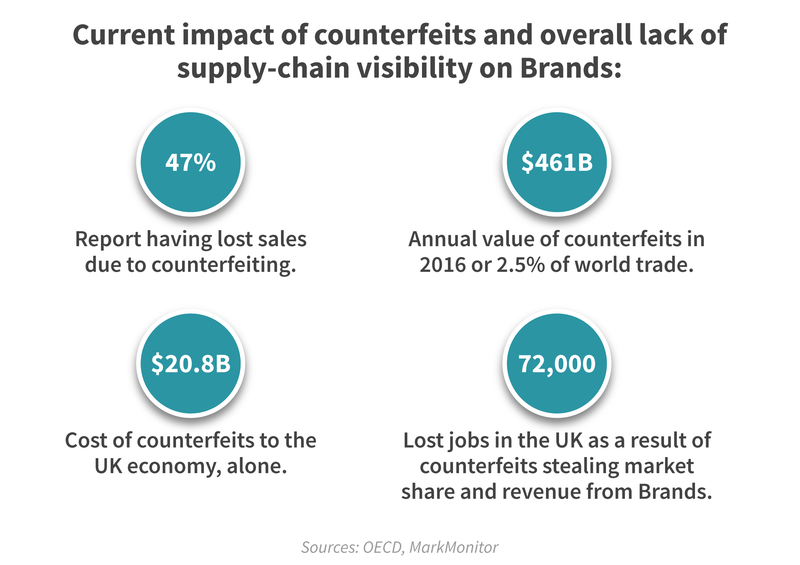 Well over a trillion dollars worth of counterfeit consumer products are sold globally each year with consumers in many cases oblivious and brands discovering the financial impact long after. To date, efforts to implement a circular economy at scale, while making an impact on the sustainability of the consumer goods economy, have been thwarted by the simple fact that we don’t know much about the things we’re making or their journey through the supply chain and our world. Being blind is no longer just an unfortunate inconvenience to the world’s consumer goods brands and manufacturers. In a digitized world, it is a cause of extinction, with brands losing their customer relationships to new channels and commoditizing competitors while suffering high costs and loss because of poor visibility of the supply chain. Without real-time insight and data-driven intelligence about product production, distribution and transactions with customers, brands have, in effect, lost control of their businesses and cannot effectively compete. If every product could speak, what would it tell you? The good news is that GS1, the standards organization that manages the humble yet incredibly important barcode that appears on every consumer product, is coming to the rescue. A new standard called GS1 Digital Link has just been released. It upgrades the omnipresent barcode standard so that every individual product can now have a web address. What’s more, the upgraded codes are scannable by any smartphone, meaning that more than two billion smartphones around the world can connect with products to both access and share information. To provide some perspective, the ubiquitous 44-year-old barcode is used by 2 million manufacturers on more than 4 trillion products every year. Barcodes are scanned over 5 billion times a day at points of sale. GS1 Digital Link brings web connectivity to trillions of products and makes it possible for those products to be tracked through the supply chain, into the hands of the consumer, and beyond. My company, EVRYTHNG, co-chaired the standards process that yielded GS1 Digital Link, working alongside many of the world’s largest consumer product brands. Through a unique licensing agreement with GS1, we make it possible for products carrying a GS1 Digital Link code to connect with smart digital identities in the cloud. traceability information can be collected and analysed to optimize supply chains in real time. The new digital system for consumer products is up and running, at scale. Our partners Avery Dennison, which labels and tags a significant portion of the world’s apparel and footwear products; WestRock, which supplies around a fifth of the world’s fibre-based packaging; and Crown Holdings, which operates at a similar scale with canned and other metal packaging, are able to produce products with a digital identity at point of production. Products are being “born digital” with a GS1 Digital Link code and a digital identity in the cloud. “The GS1 Digital Link is a potentially game-changing standard, literally linking every product to the web and the digital ecosystem," says Sanjay Sarma, vice president for Open Learning at Massachusetts Institute of Technology and a member of the GS1 Board of Directors. He should know, Sarma and his colleagues invented many of the technologies powering radio-frequency identification (RFID) systems around the world today, from electronic passports and toll gates to crates of fresh produce. All this means consumer product brands are no longer left guessing. Data can now be gathered at a mass scale – the crucial word being mass – with a simple, printed, scanned code that follows a product throughout its journey. Brands now know where every product item is, who’s got it and how it is recycled and/or disposed of. draw conclusions about operational performance and efficiency. At a time when brands must respond to competition from e-commerce channels in a thoughtful and strategic way, the digital switch-on of the world’s consumer products with GS1 Digital Link and EVRYTHNG digital identities creates an unprecedented opportunity to apply data science and intelligence to every product’s journey. Access to this digital intelligence allows brands to innovate business models while addressing critical sustainability issues. Uber has transformed transportation by making car ownership unnecessary. Smartphones in the hands of drivers have transformed cars into trackable digital assets so that anyone with an app has on-demand access. Rent the Runway is an example of clothing-as-a-service that meets a real market need – when you need something special to wear but will likely only wear it once. Renting instead of buying and lending instead of discarding, can reduce the millions of tonnes of textile waste produced each year and extend the life of the garments we use, ultimately reducing our carbon, waste and water footprint. A win, win, win. By making every item of a product connected, traceable and/or trackable, every product category can innovate its business model. The rental and sharing economy saves consumers money and benefits the environment. Packaging, printed manuals, even medication instructions are other examples where going digital can save an enormous amount of waste and lessen environmental impact. Why do I need a printed manual or information sheet for a product when I can access a video on YouTube with my phone or interact with a digital tutorial that’s easier to understand? Why do products have to be repackaged for localized documentation when localized content can be delivered digitally? The circular economy requires connection to close the loop. Information about the source, composition and journey of products – organized in the cloud – benefits consumers with better provenance and confidence in products, while recycling becomes more practical. The GS1 Digital Link roll-out to every consumer product on the planet is now underway and the motivation to adopt the new standard is compelling to brands and consumers alike. Just as my teens can’t imagine a world without smartphones, I have no doubt we’ll look back in a couple of years and wonder how it was possible to operate any business, let alone an economy the scale of the consumer goods industry, without data intelligence.